I tried messing around with the sausage recipe (including adding in some quinoa flakes) in Vegan Brunch to create some meatballs. 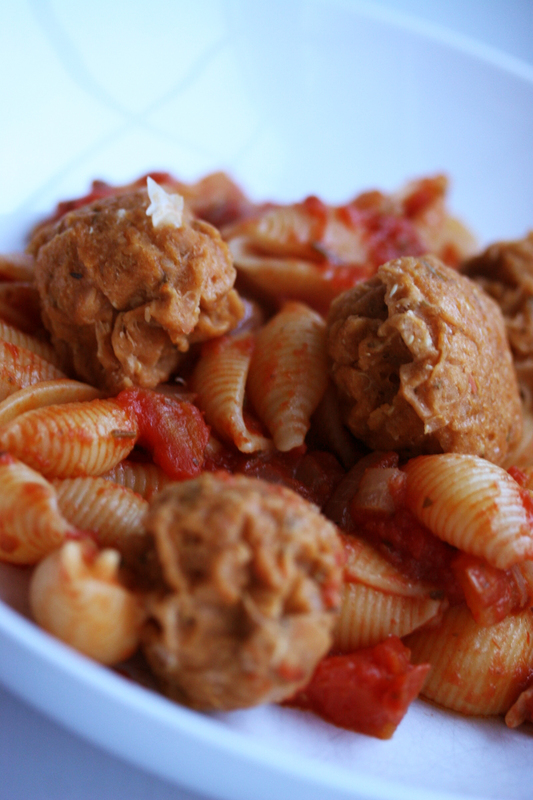 They tasted okay but didn’t really work out as some amazing new meatball recipe to add to my collection! To be honest I bought this just to try out Daiya cheese, which is one of the ingredients. I wasn’t blown away by the taste or anything about it really. 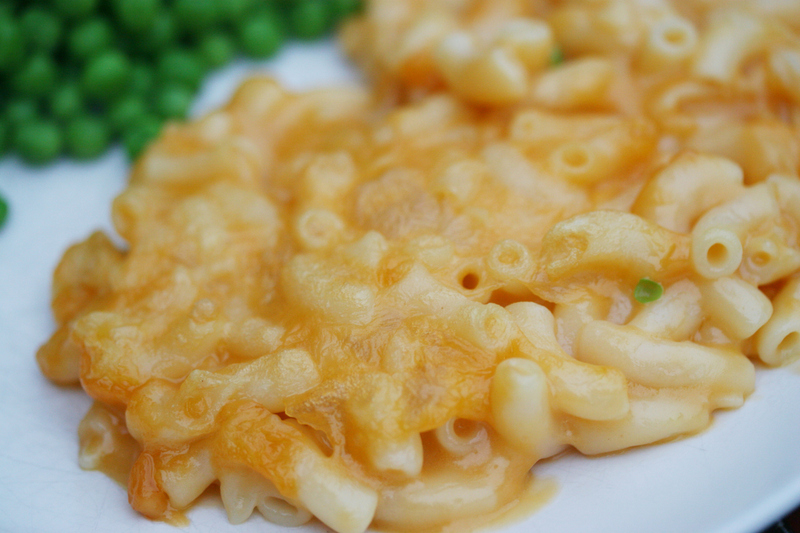 I don’t miss macaroni and cheese, and usually i just make it with a white sauce. I will probably buy a packet of Daiya, just to see what it is like on pizzas etc. but I probably wouldn’t bother buying this ready meal again. 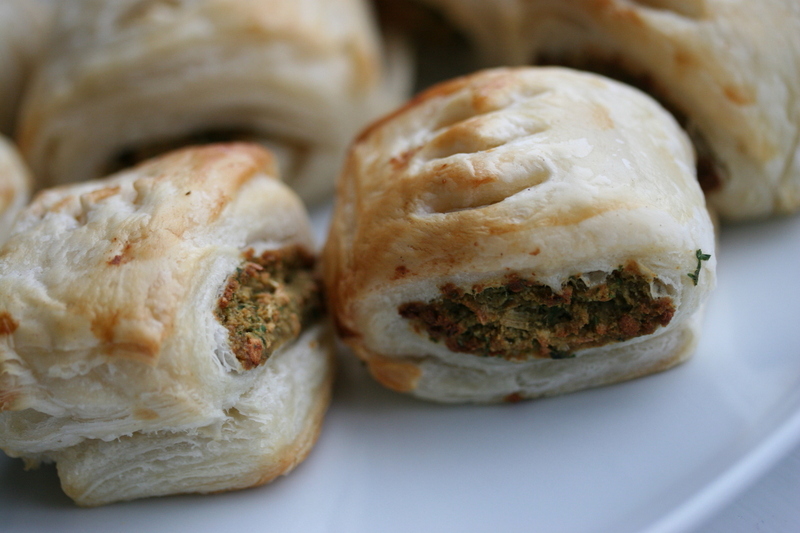 I wanted to call these falafel rolls, but well that makes them sound like a sandwich! I took a pack of falafel mix and a pack of puff pastry and made this version of a sausage roll. 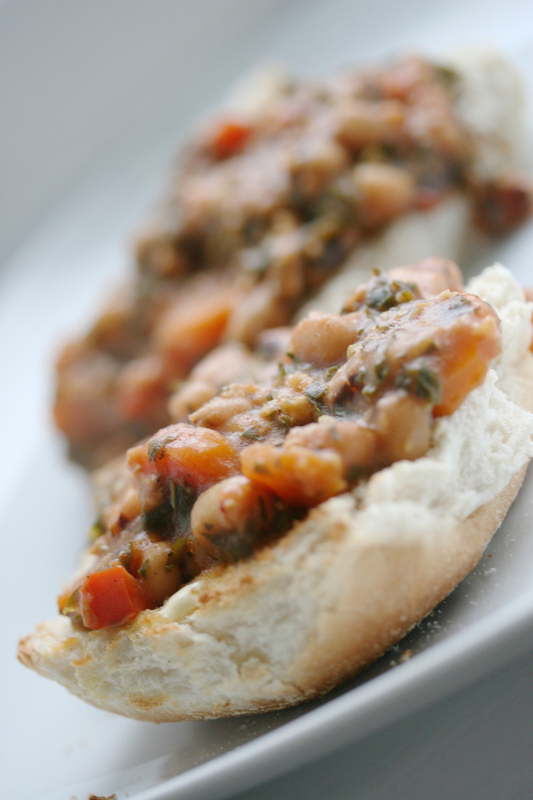 Really easy, really tasty! I like to think I have made ground breaking improvements upon the vegan staple that is a falafel, but probably somebody already had the same brain wave. You could probably make these even better by making your own falafel mix. 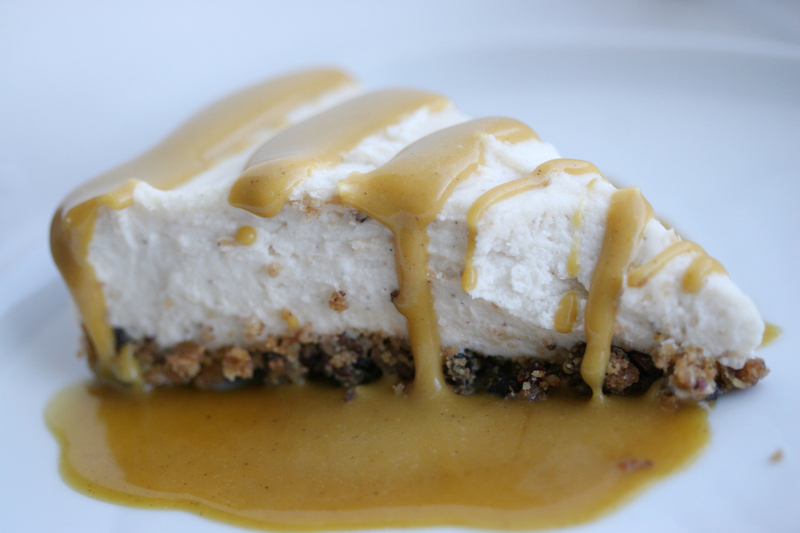 The recipe for this cheesecake is my own and I combined, cashew cream, tofutti cream cheese and white chocolate for the filling; vegan digestive biscuits and cacao nibs for the base. The sauce is a recipe I am testing for Kathy and I also used it in porridge and on ice cream-super yummy!! 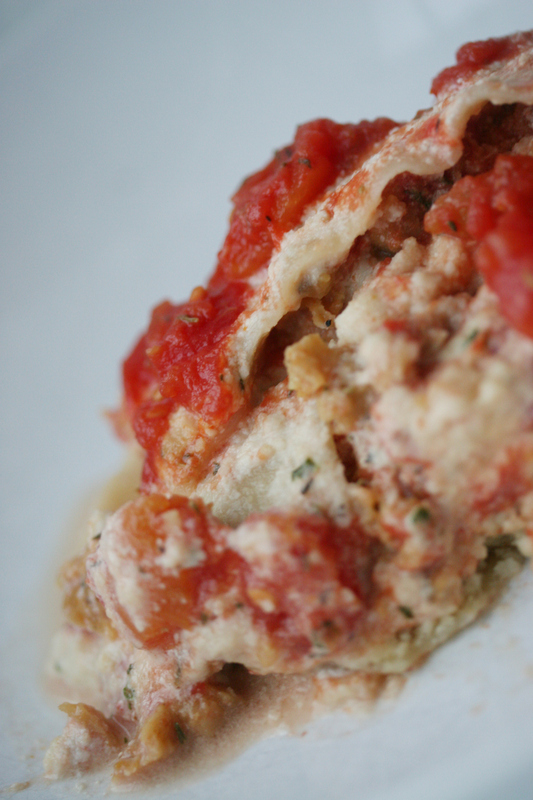 This recipe makes use of two other recipes in Kathy’s next book: a nut ricotta and gluten crumbles. I used chopped tomatoes instead of crushed, by mistake, so the sauce was a little watery. It didn’t end up looking that pretty, but it was really tasty. I’m in two minds on these gluten crumbles, they were a little on the rubbery side of chewy, but the method was really easy to use and I might try it out with some other seitan recipes. 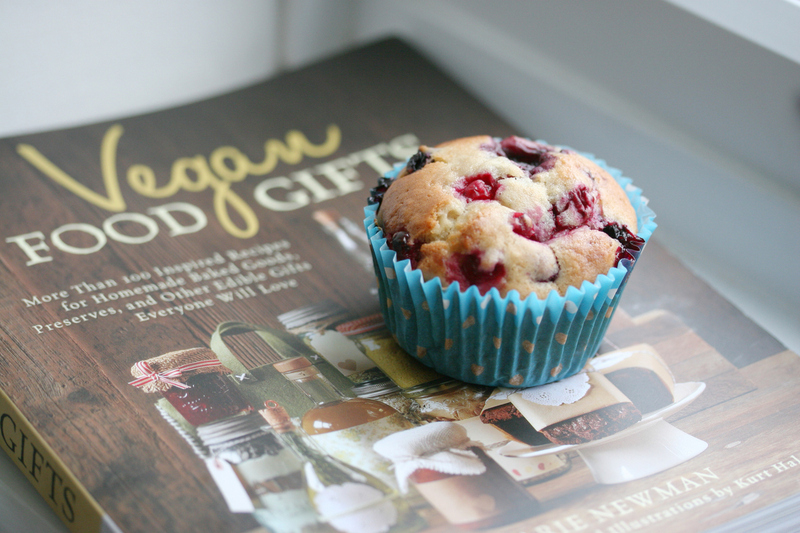 You might already know that I did some testing for Joni’s latest book Vegan Food Gifts. I had the best time testing this book, and I was really lucky to receive my copy this month. Not only are the recipes awesome, but the photography is by Celine Steen and the illustrations are by Kurt Halsey including the awesome (yes I said awesome AGAIN!) gift tags and recipe cards ready to scan and print. If you order the book now, you would totally be able to hand make tasty treats for all your nearest and dearest this holiday season. Oh, in case you were wondering, that would be a G’Mornin’ Muffin (recipe in the book). I already made these before, but Lily decided she wanted to make a fruit muffin. I am just starting testing on Joni’s next book, so expect some more posts on that subject, soon! Another recipe test for Kathy. I’m not sure I really get the whole sloppy joes thing, and I think I prefer the PPK jerk sloppy joes. The kids also didn’t really dig these, so it is unlikely to be a regular on our dinner list, although there was nothing wrong with how they tasted. I was going to write some posts focusing on some ingredients I seem to be using a lot of at the moment: Quinoa flakes and Hawkshead Relish. Quinoa flakes, I have seen in most health food stores. I like to use them to thicken up sauces and I tend to throw them into things like veggie shepherd’s pie and pasta dishes, or anything else I wanna sneak some quinoa goodness into! Hawkshead Relish, is a bit like Worcestershire sauce and whilst it doesn’t specifically state so on their website, on the bottle it is labelled vegan. I mean you can tell from the ingredients on the website, but its always nice when a company labels their products! I have been throwing it into things like veg bolognaise, stir fries and even a bit in some rice that I was frying up tonight. So don’t hold it against me, that I have been so slack with posting lately. It would be nice if I at least had a clean tidy house to show for my blog absence, but alas, the kids seem determined to take up all my time and I am worn out by the time they are in bed! I will try harder next Vegan MoFo.